Music TV Channel / Africanews is a 24-hour news channel based out of Pointe-Noire in the Republic of the Congo. The news channel is a subsidiary of France-based euronews and began broadcasting online, TV and via Satellite on 20 April 2016. 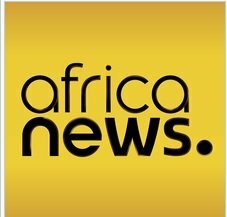 Africanews runs news and weather summaries every half-hour. Currently the programs are broadcast in both English and French - the on-screen captions are bilingual. The channel plans to expand and accommodate most of the continents population and plans to roll out Swahili, Arabic and Portuguese content soon. The channel currently is broadcast in 33 sub-Saharan countries and is accessible to 7.3 million homes via satellite and Digital terrestrial television networks.